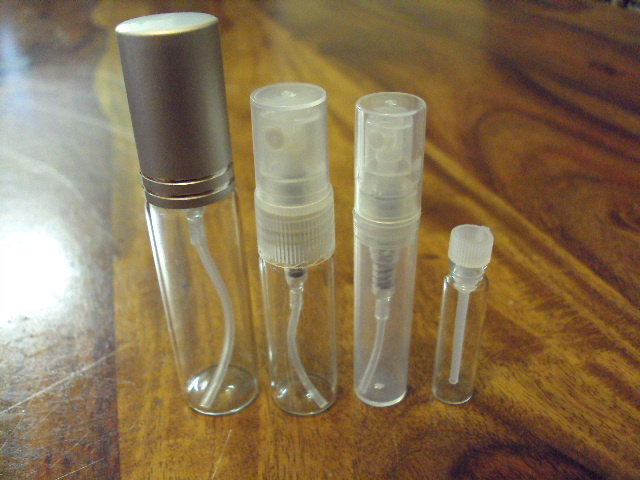 At Scent Samples we offer sample size vials and spray bottles in 1ml, 2ml, 3ml, 5ml and 10ml bottles. Our 1ml vials are dab on only, not spray bottles. Our 2ml, 3ml, 5ml & 10ml sample bottles are all spray bottles. Bottles will change from time to time depending on stock availability. All sample vials and bottles have a small label with the name and brand of the perfume and our website address. All samples are carefully packaged and sent to you in small boxes to protect your treasured purchase. We currently have 1,000+ perfumes for you to sample. We have many mainstream brands such as Chanel, Christian Dior, Calvin Klein, Dolce & Gabbana, Marc Jacobs, Estee Lauder, Viktor & Rolf, Lady Gaga and Juicy Couture, as well as many niche brands such as Montale, L’Artisan Parfumeur, Le Labo and many others.